About — Shenandoah Legal Group, P.C. 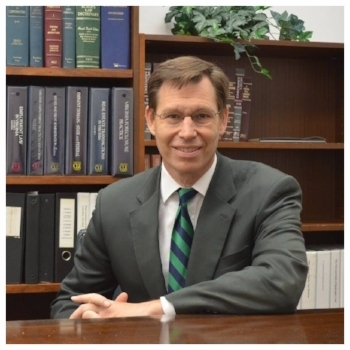 Shenandoah Legal Group is a Virginia law firm based in the Roanoke Valley since 1994, and provides counsel regarding Creditor's Rights, Bankruptcy, Foreclosure, Landlord Representation, Insurance Subrogation, Commercial Law and Small Business Law and Litigation. Our office handles cases throughout Virginia, with special emphasis on Southwestern Virginia. MATTHEW D. HUEBSCHMAN: Born in Evansville, Indiana, May 30, 1971; admitted to bar, 1999, Virginia; U.S. District Court, Western District of Virginia; U.S. Bankruptcy Court, Western District of Virginia. Practice Areas: Consumer Collections; Replevin / Detinue; Bankruptcy; Subrogation; Commercial Law; Landlord’s Rights; Civil Litigation. JAMES A. COOPER: Born in Jeannette, Pennsylvania, September 9, 1988; admitted to bar, 2016, Virginia; U.S. District Court, Western District of Virginia. Education: University of Pittsburgh at Greensburg, (B.A., 2007); Washington & Lee University (J.D., 2016). Practice Areas: Commercial Law and Collections; Consumer Collections; Closely Held Corporations, Foreclosures; Civil Litigation. Affiliations: Commercial Law League of America (“CLLA”).